“How many times will you read it? Haven’t you written this book? Then why are you always reading it? Will you not read my books?” my five-year-old son Vivaan was really infuriated. 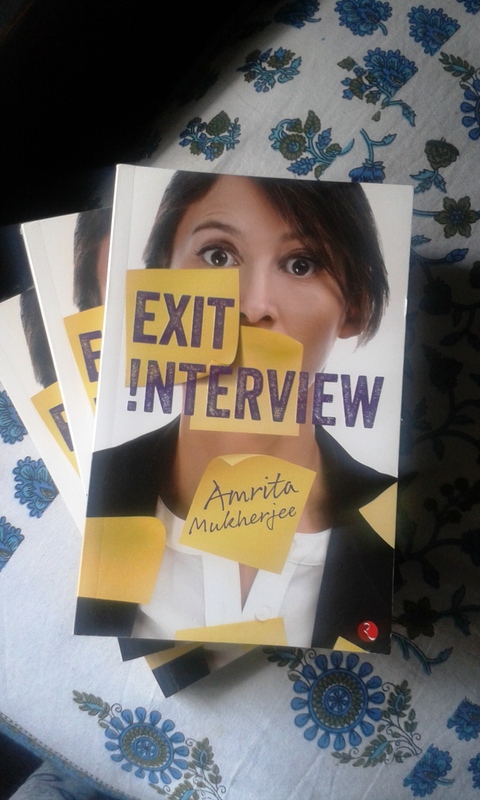 It was end of May and a couple of days after Rupa Publications had delivered author copies of Exit Interview, my first attempt at writing a fiction, at my doorstep, and I had not yet got over the thrill of holding my book, smelling it and going through it, although by then I knew every page by heart. But Vivaan wasn’t liking the fact that I was suddenly giving more importance to Exit Interview than Hansel &Gretel and I was even telling him to sleep off on his own while I had work to do. “Work? What work? You are reading your book. That can’t be work.” He retorted. I lovingly showed him the acknowledgments page where his name is there. He looked at it and then seemed satisfied that even in the book he continues to be the centre of his mom’s universe. Vivaan probably will never know that my protagonist Rasha Roy has been actually abandoned so many times for him – for the call of his nappy changing-feeding-cuddling duties. I started writing the book when my son was 10 months old. I had just quit my job in Dubai and I was at home, writing. Obviously it was expected or I was internally conditioned that way, I suppose, to get up from my laptop every time my son wailed. Hence the breaks from writing extended to walks in the stroller and playing sessions in the balcony. Sometimes when I went back to Rasha Roy, my protagonist, I had forgotten what she was doing or what I wanted her to do. My train of thought had been shattered. There were days Vivaan kept me so busy that I couldn’t write a single line and there were days I would be up all night writing. Some nights Vivaan was so restless and wanted me by his side (we always co-slept) that I also tossed and turned with the next twist in the tale in my head, unable to put it down on the keyboard. Sometimes when I sat down to write instead of the words the only thing that came was my tears. I was still mourning the untimely demise of my brother Anirban. It had only been 10 months that cancer had taken him away. But was it Rasha who gave me the strength to carry on, to write the story or was it Vivaan, this little boy, who only knew the sound of my heartbeat, who changed me as a person altogether and gave me the strength to follow my dream? “Puti? Who’s Puti?” my friend asked. 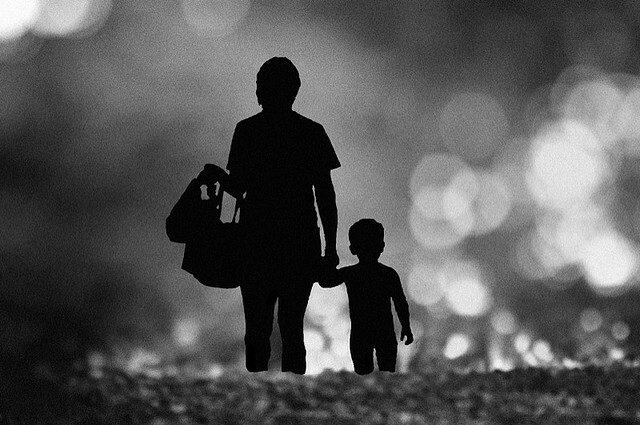 The last sentence was uttered with a pride that melted my heart – a pride that comes from his innocence, a pride that he feels about my book but can’t express, a delight that he feels to have the creator of Rasha or Puti as his mom. Few days back an uncle had come home and asked for a copy of the book. I just had a couple left and needed to send it to someone so I said I didn’t have any. I quickly realized why people say you should never lie in front of a child. “Why? Aren’t there a few copies in the blue bag?” Vivaan said with authority. With great embarrassment I explained to my uncle the reason I couldn’t give those. So looks like I might have to choose Puti over Rasha very soon but I wonder whether Puti will be able to deal with bank robbers and hijackers between me handling homework, school drop off and pick up, freelance deadlines, blogging and my naughty son hitting the sleep button on the laptop at the slightest opportunity. PS: If you are still interested to read Rasha’s story then for online orders check Flipkart, Amazon India and Amazon International. Thank you very much Sharmi. Amrita….best of luck with Puti….leave aside Rasha….want to hear a great story on Puti…from you…am serious! !